If there’s one thing we’ve learnt from building and renovating, it’s that you can’t underestimate the impact of great lighting. Skimp on lighting or create a lighting plan as an afterthought and the results speak for themselves… or take the time to develop a well-considered lighting plan early and create a space that looks and feels architectural. Today we have lighting expert James Nagel back with us to share everything you need to know about lighting your bathroom. James is a qualified Illumination Designer with over 15 years experience, and he recently founded his own lighting specification company Luxygen. Other than general lighting, the most important function of lighting in a bathroom is to light your face when using the vanity mirror. 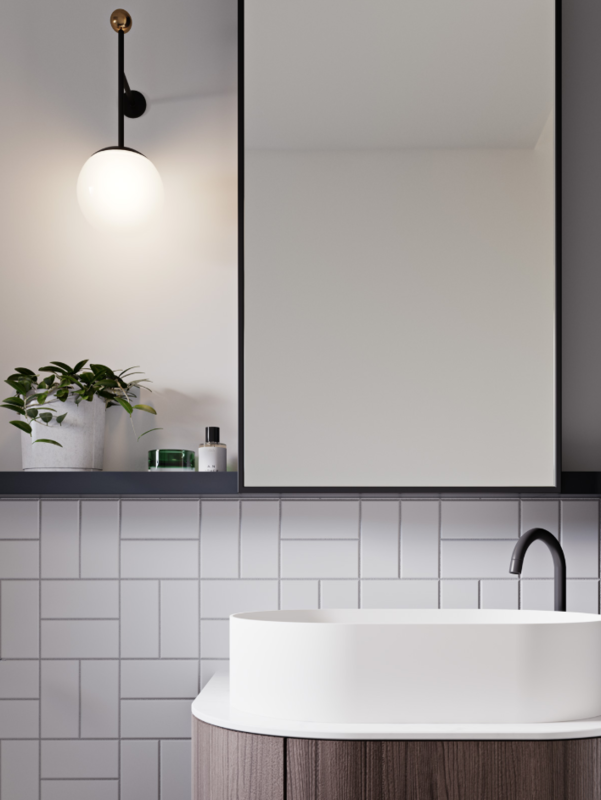 Whether it’s to shave or put on makeup, during these sorts of tasks is where you need your lighting to work for you — the rest of the lighting in your bathroom is considered general or creative mood lighting. pendant lights on one or both sides of the mirror. Whichever lighting solution you choose, just remember you want to create light that hits the face rather than creates directional shadows. So while a downlight directly above a mirror may look nice, it can create an issue with casting downward shadows on the face. Likewise, backlit mirrors look beautiful but they aren’t great at throwing light onto your face so often supplementary lighting is required. 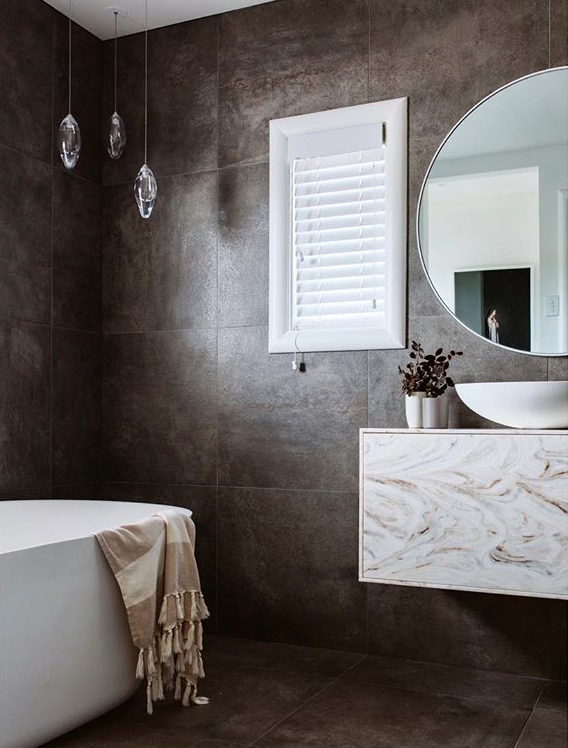 Keep reading the bathroom trends below for ideas on how you can create accent lighting in your bathroom. Like all things design, lighting goes through trends. You can give your bathroom a design-forward look by embracing some of these future trends in bathroom lighting. 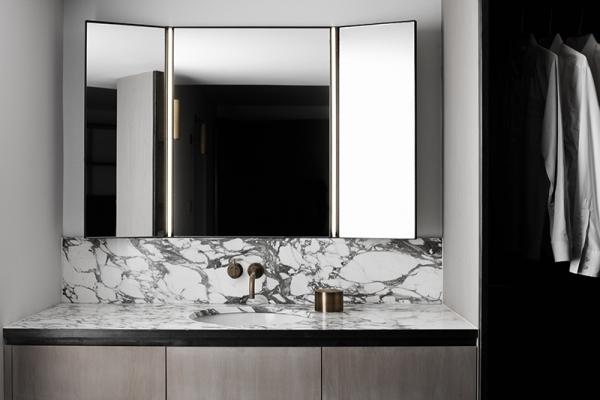 For many years we saw people use LED strip lighting below the vanity, below the shaving cabinet or in wall niches but now we’re seeing more creative uses of LED strip lights. As strip lights are now available in such a small size, they can be used in places that weren’t previously possible or would have been an eyesore. For example, James says LED strip lights can be used just underneath the stone on a vanity, i.e. in the shadow line. Another clever way of using LED strip lighting is to run a thin strip down the side of your mirror — with a simple Perspex cover this becomes virtually hidden and creates a diffuse light to light the face. Often now mirrors have lights incorporated into them and provide the diffuse light required to light the face without shadowing problems. 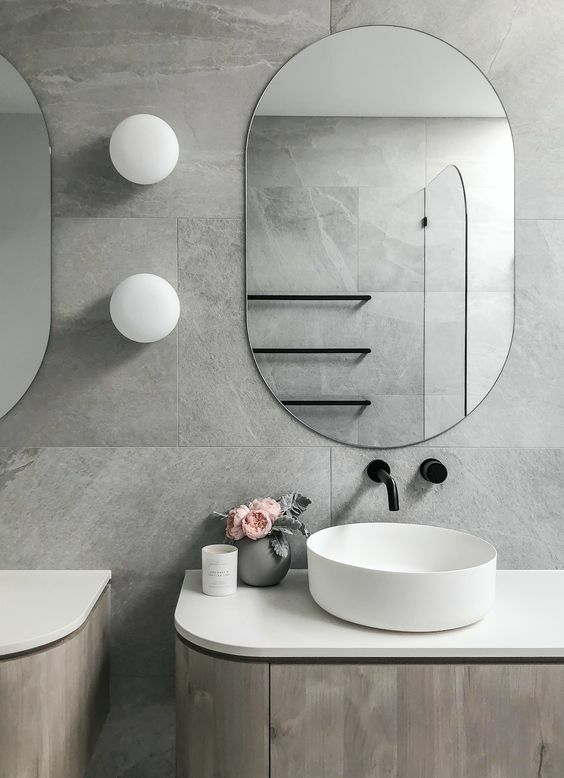 James says there’s been a move away from standard downlights and traditional styles of lighting in favour of clean ceilings in the bathroom – the lack of obstruction creates a much sleeker look. A dropped ceiling with an LED strip box is ‘very in’ explains James, particularly in commercial applications and offers just as much light as downlights. Or an even more design-forward idea is to use strip lighting along one edge of the ceiling and down one wall. Tastics are a functional must-have for most people but you don’t need to go with a bulky design. James says newer models, such as the Tastic Neo, offer the same functionality in virtually flat profiles — keeping the clean line of your ceiling. James says one of the most common lighting mistakes he sees in bathrooms is that it’s often overdone. You don’t need to add feature lighting in every possible spot — decide what statement you want to make and do that. A tip of what light you should include is a night light on a sensor so during those unexpected night trips to the bathroom you’re not having to turn on the overhead lighting. A simple low-level night light is enough. Can I install a 240V light fitting in a bathroom? 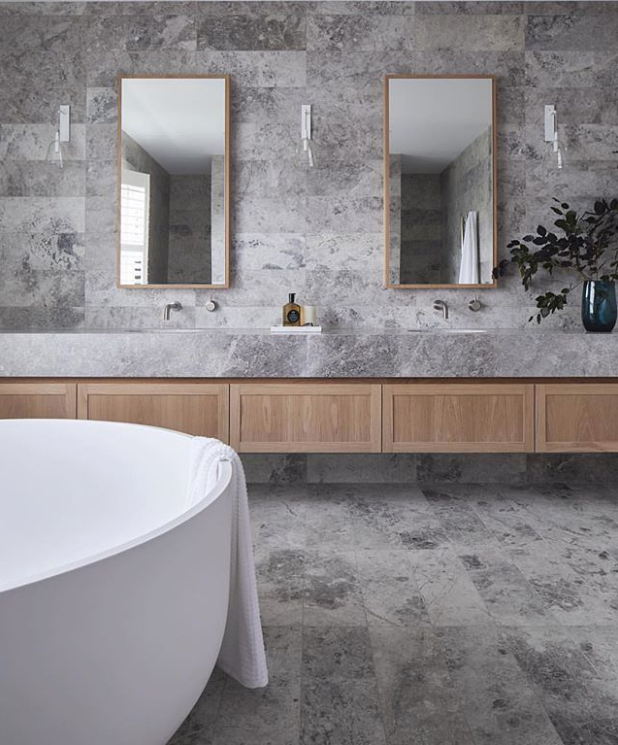 You sometimes hear electricians advise that low voltage lights must be used in the bathroom and it isn’t until you shop for low voltage lights that you realise there isn’t much choice on the market. James says if a light is inside the protected zones then it will need to be either low voltage, IP X4 rated or double insulated. A standard fitting can be installed, provided it is outside of the zones deemed unsafe. Your builder, lighting designer or installing electrician will be able to provide you with zone category areas and advise where you can install. Warm or cool (lamp colour temperature)? There’s no right or wrong rule when it comes to selecting warm or cool LEDs as it comes down to personal preference… but James personally prefers warm LEDs and so do we! Cool LEDs can make spaces feel clinical. Our tip is to use a warmer colour temperature as it’s ideal for creating a more inviting feeling. The other thing that isn’t spoken about much is colour rendering. This is how colours appear under the light. James says most LEDs are very good with blue, green and yellow colours but reds are often poorly represented. He suggests looking for ‘high colour rendering LEDs’ as these may have better rendering properties in the red tones and will help make items appear closer to their true natural colour — particularly important in the bathroom for getting skin tones represented right. If you come across the term IP rating and have no idea what that’s referring to, this chart provides a good explanation on IP rating and the meaning of each of the numbers. 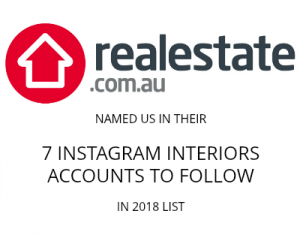 James says this really depends on the light, your space (ceiling heights and scale of bathroom) and your overall design – what’s important is that the light is hitting where it’s needed. So wall sconces by the vanity should be placed at a height where the light will illuminate the face best. You may like to check out this article about what height to hang pendant lights for more advice. Do you have any other questions about lighting in the bathroom? Pop them in the comments below and we’ll get James to answer them!